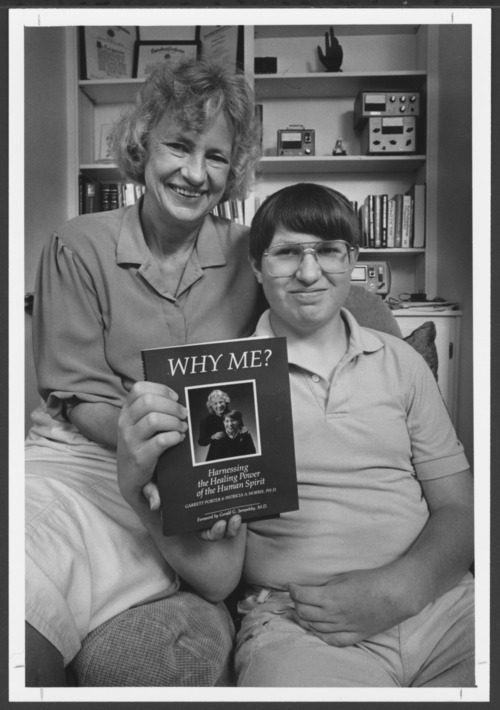 Dr. Patricia Norris and Garrett Porter co-authored the book "Why Me?" Dr. Norris researched and taught about biofeedback as a treatment and Garrett Porter was one of her students/subjects. Dr. Norris was in the Research Department at the Menninger Foundation. The Menninger Clinic is a facility for mental-health treatment, education, and research. It was located in Topeka, Kansas, from 1925 to 2003 and is now located in Houston, Texas. Patricia Norris, Ph.D., and Garrett Porter, co-authors and their book "Why Me?"